To read more information on the Picador Click here. 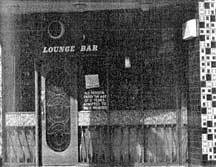 Another view of the Picador, the lounge entrance. 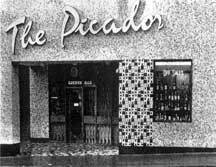 The Picador, in Renfield Street, Glasgow, is the only lounge in the city, as far as I know, to have live music in their lounge every weekday. A pie and beans and a pint and some music should help the afternoon pass a little more pleasantly.